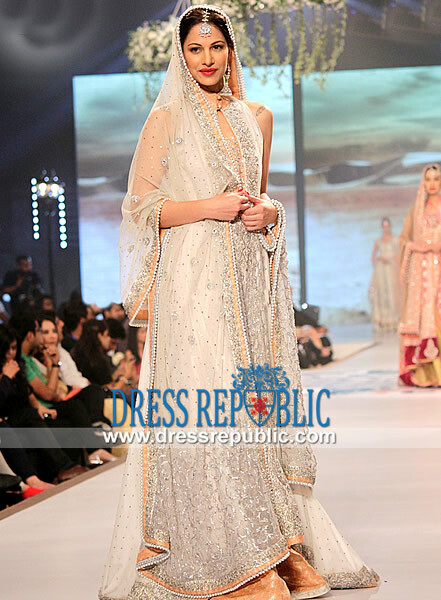 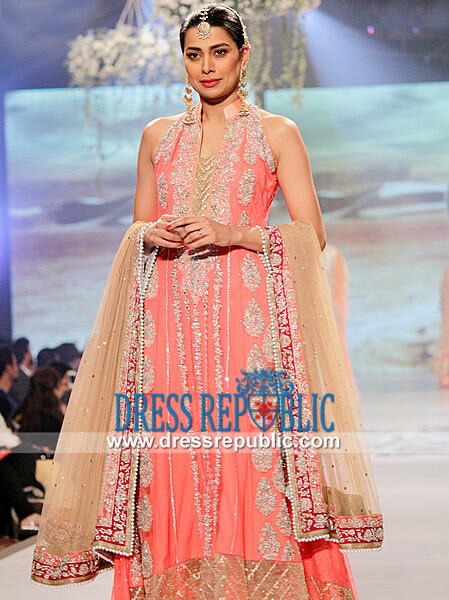 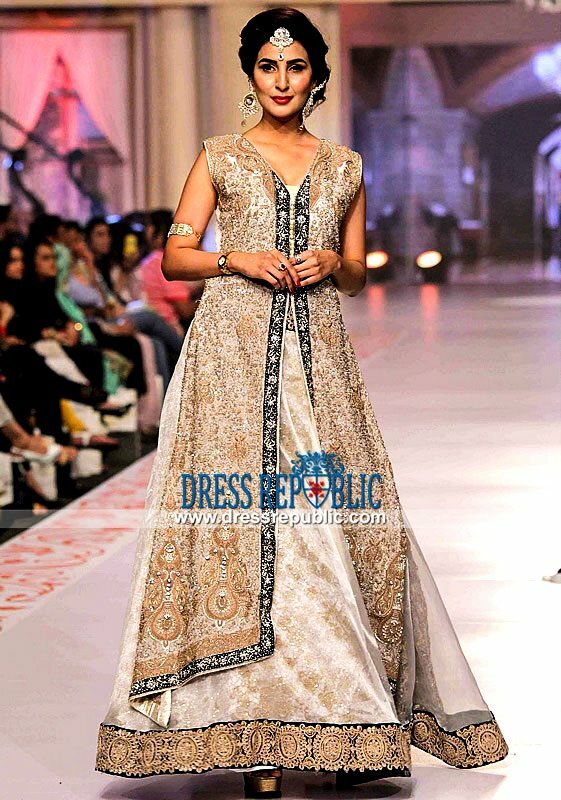 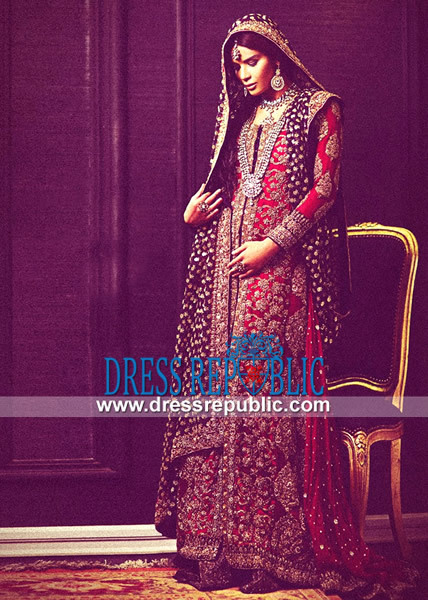 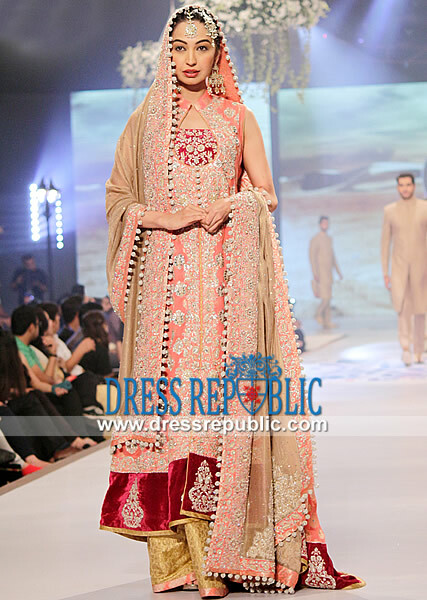 Double layered bridal shirt in Crinkle Chiffon and Banarsi Jamawar fabric; in Sandy Brown and Navy colors. 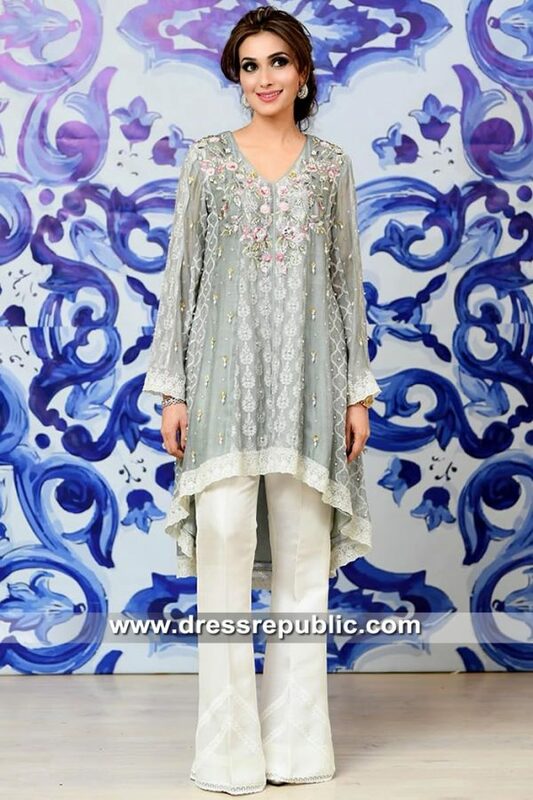 Over top features lavishing embellishments and embroidery work throughout the front, sleeves and hem; full length sleeves. 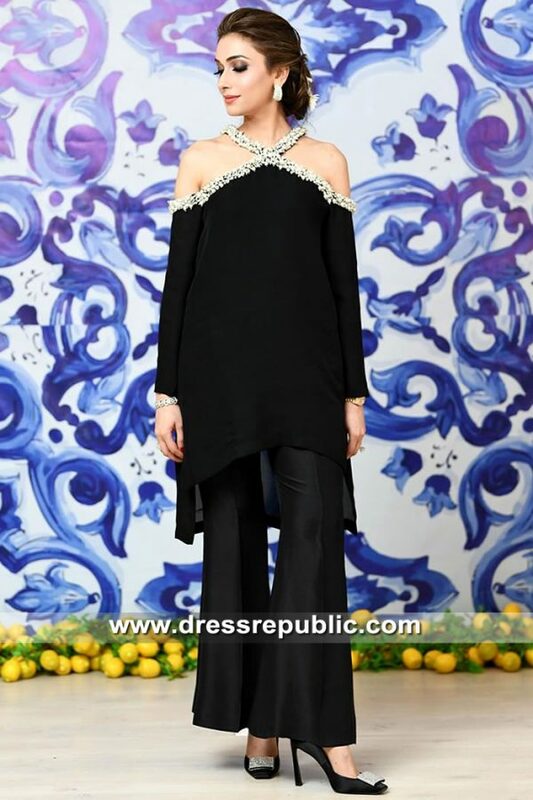 Under top features neck and front is adorned with rich detailed embellishments; Round neckline. 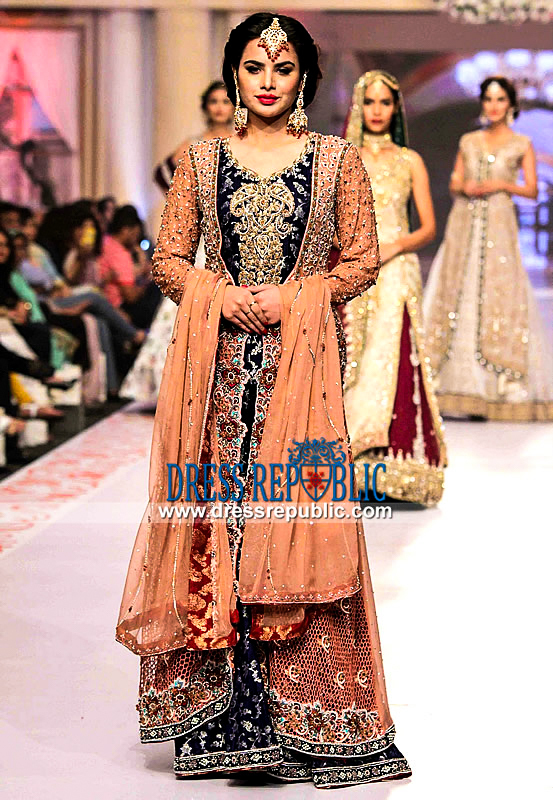 Two legged flared sharara Banarasi Jamawar fabric; in Navy color; light embellishments on the bottom; hidden zipper. 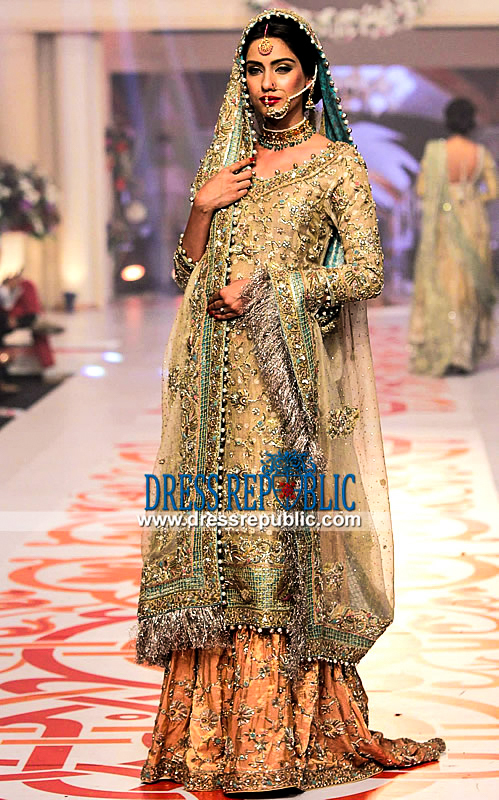 Crinkle chiffon dupatta features borders are adorned with light embellishments; rich detailed embellishments throughout.